It’s nearly the end of summer. That means that our crazy crafting is about to come to an end. 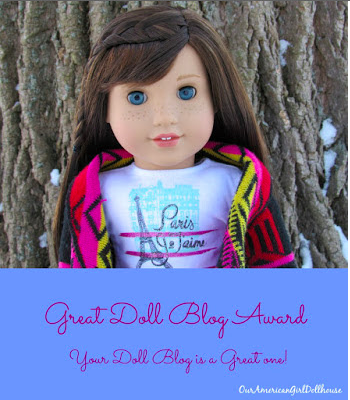 It also means no more late night pizza parties, but that doesn’t mean that our dolls can’t keep having fun. 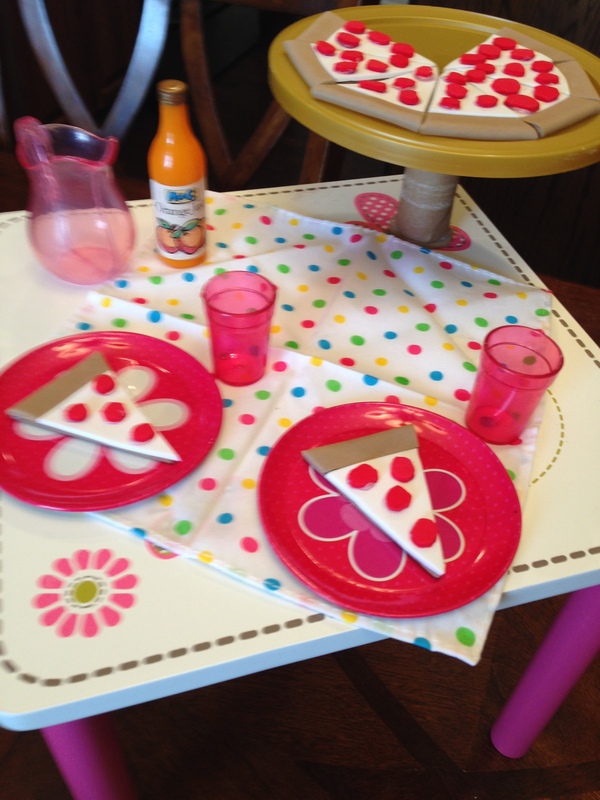 When we first laid eyes on the Julie pizza party set from American Girl, we were thrilled. We were also totally inspired to try to make one of our own. I mean, why buy when you can craft, right? I got out my crafting supplies and set to work. I must have been thinking about pizza mainly because it was 40C outside and I didn’t want to cook. 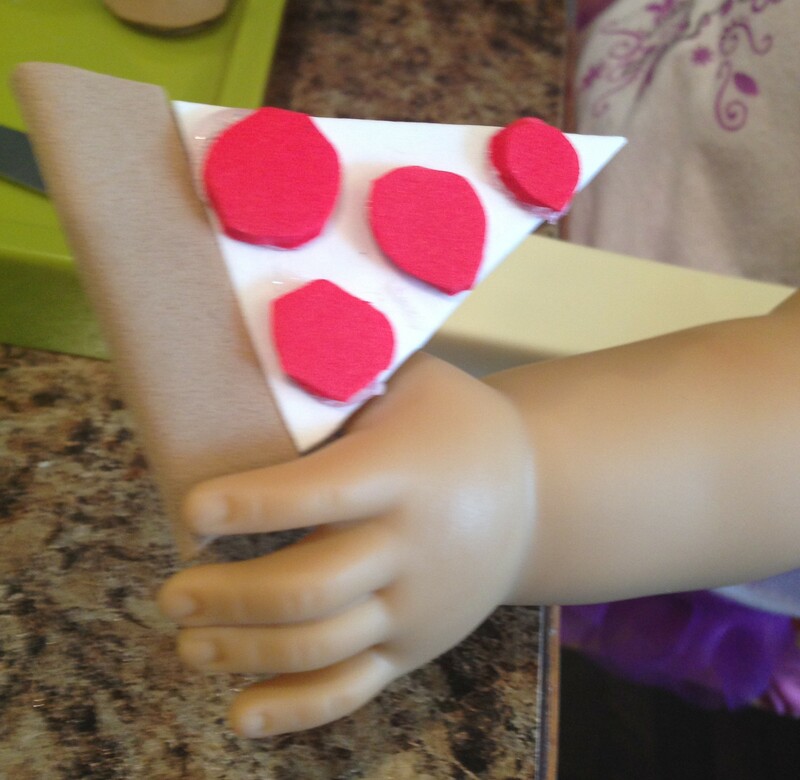 Needless to say, we ended up ordering out for pizza that night too, making it a real pizza party as well as one for the dolls. Tan foam, white foam, red foam and hot glue. That’s it! I am always impressed when a craft comes together very easily with very little supplies. We already had the plates and cups. 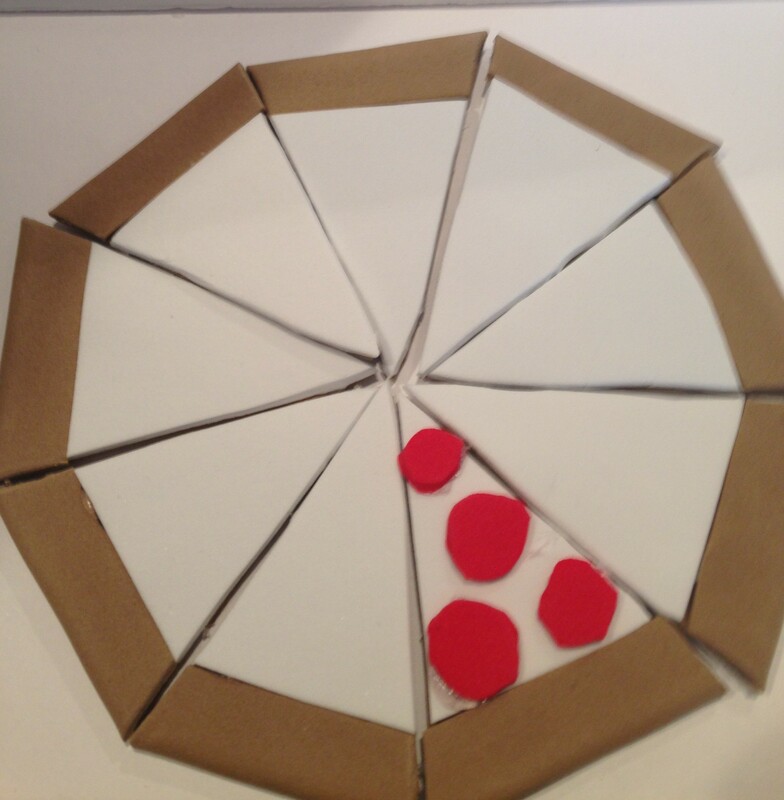 Cut off the excess on the sides of the pizza crust. 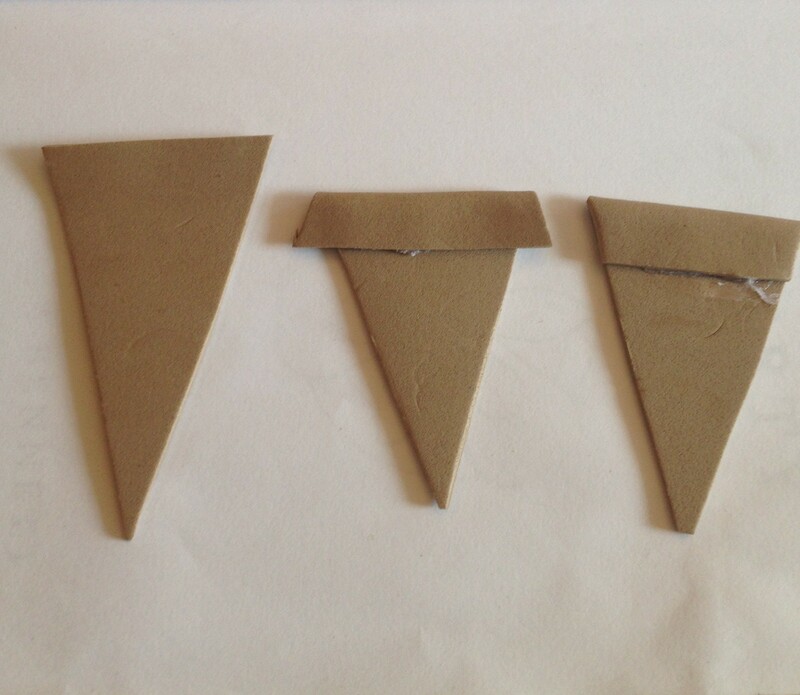 Be sure to cut out at least 8 or 9 identical triangles. It’s beginning to take shape! The next step is to add the cheese. I simply glued white foam triangles on each piece. Cute right? At this point we were getting excited. 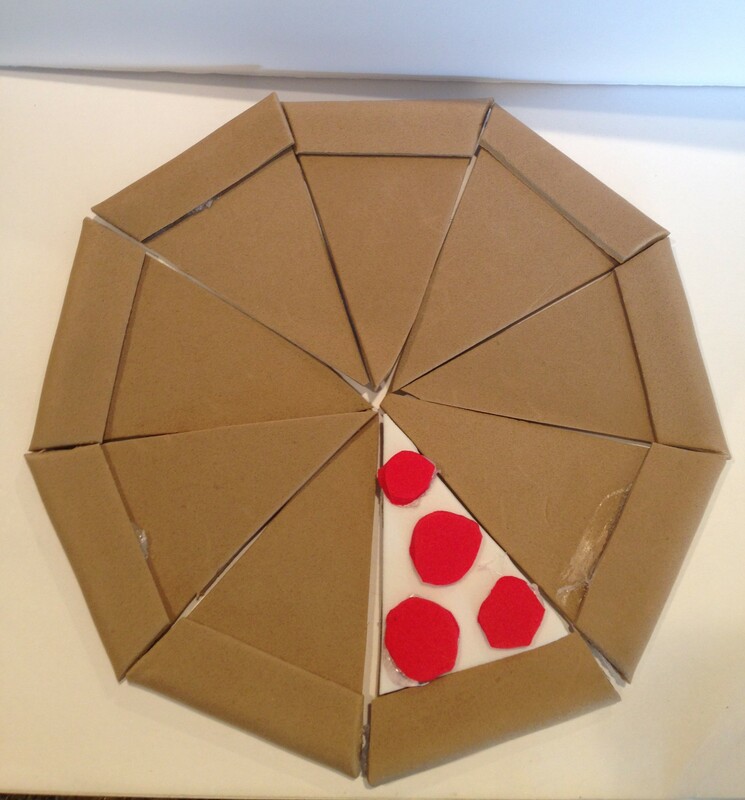 For the next step, you can do any type of pizza you like. 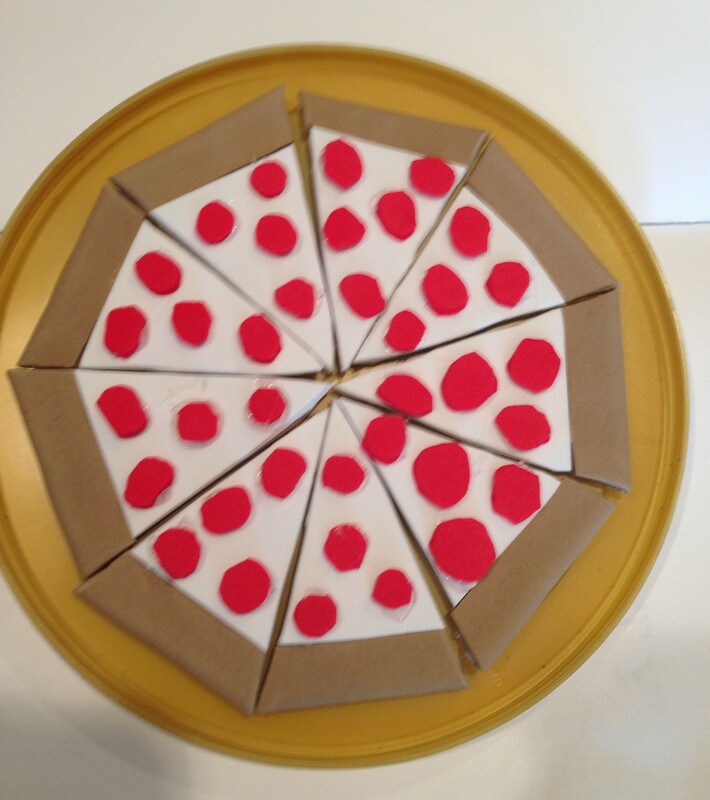 We obviously chose red foam pepperoni as it is the simplest as well as a favourite of my daughter. 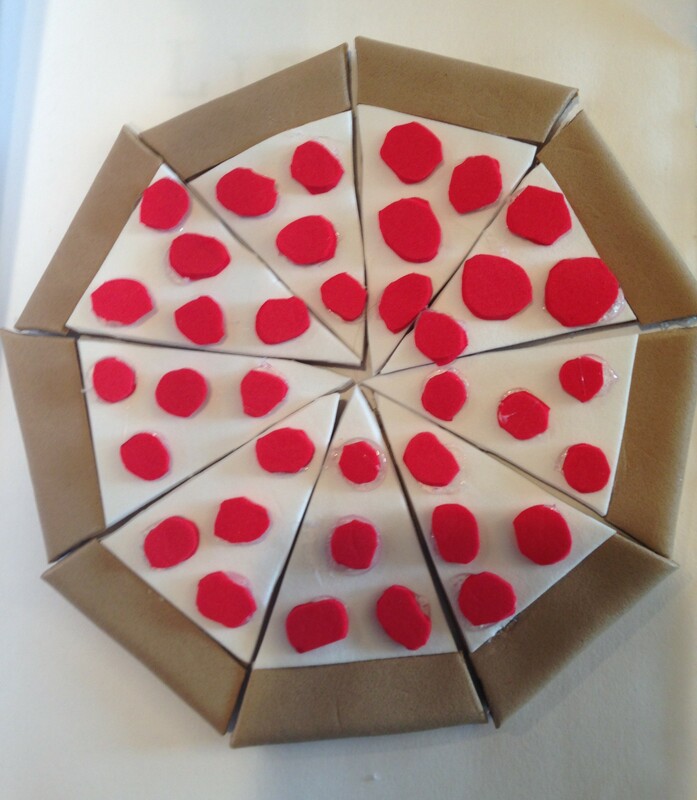 Glue your toppings in place and you are ready to party! You can use the lid from a large coffee tin as a pizza pan. We ended up gluing a plastic wrap tube to the bottom of the coffee lid to make a pedestal stand. 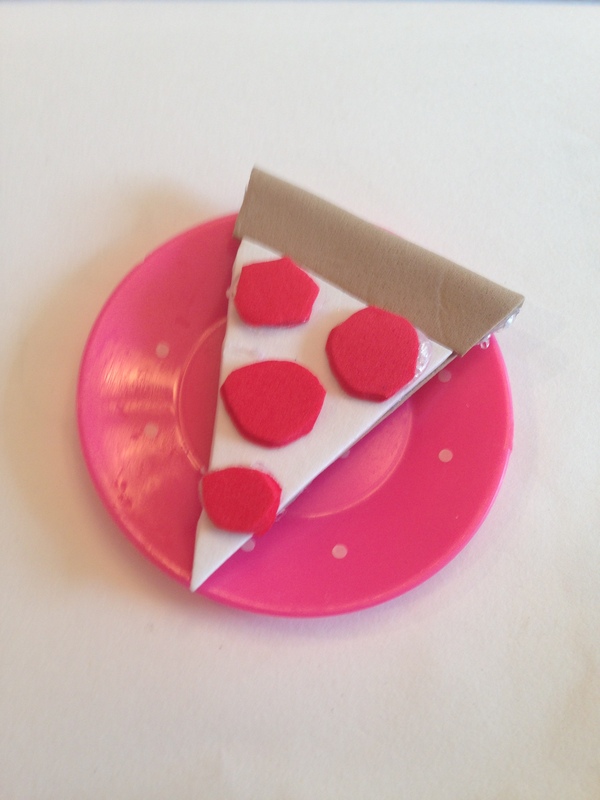 Now your dolls can have a pizza party right along with you. It’s the perfect size for dolls. Next > DOLL LUNCH TIME!